Johnson’s Air Conditioning recommends proactive maintenance service. Maintenance services include chemical treatments, filter service, inspection and testing. Service includes communications and reporting to owners and managers as system conditions and performance are confirmed. Success of our maintenance program can be measured by our ability to prevent more extensive services and reduce system failures. We service specialized systems with specific procedures outlined by the manufacturer. There are also common needs for all systems, a list of them is compiled below. 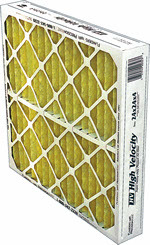 Maintain filters for maximum performance, efficiency and air quality. Avoid abatement services and component repairs. Clean and treat cooling coils with passive approved coil cleaning solutions to clean and maintain heat transfer surfaces, increasing performance, efficiency. Avoid failures or need for more caustic cleaning chemicals. Clean and treat condensate drain pans with chemicals to provide time released protection against growth and clogged drains. Clear and test condensate drain lines with no less than one gallon of water to confirm proper drainage and detect problems that cause water overflow incidents. Inspect overflow protection devices. Inspect systems and record conditions. Maintain service log in-house for each system and provide documentation to property manager or resident when recommending repairs. Test electrical components and record performance. Maintain service log in-house for each system and provide documentation and communication to property manager and resident as needed. Test refrigerant system components and record performance. Maintain service log in-house for each system and provide the supporting documentation and communication. HVAC drain pans act as amplification sites for microbial growth and dirt. Sheets of fungus literally cover drain pans. Microbial growth proliferates while the drain pan accumulates dirt and other incoming debris. Left unchecked, build-up continues and drain lines are plugged with this biological soup. Overflows can cause water damage to property. Overflows present an ongoing risk for all drain pan systems. High humidity conditions, failure to clean the drain pan frequently, or a high percentage of outside air introduction all contribute to condensate disposal problems. Johnson’s has used Pan-Guard and Acti-Guard Time Release chemical treatments since they were first introduced twenty years ago. Unlike less expensive tablets that only last for 1 month, these time release chemical pouches work for 6 month intervals. These time release anti microbial chemicals are the best defence against algae build-up in condensate pans and drain-lines. After removing any debris that has accumulated on coils or inside cabinets and the surfaces have been cleaned using wet-vacs and towels, the coil is treated with a passive non-rinse cleaning agent. Chemicals used for regular maintenance are not corrosive and help prevent the need to use stronger chemicals in the future. All chemicals used are manufactured specifically for use in central air conditioning systems. All filtration methods are intended to keep equipment components clean. Some are intended to improve the air quality of the environment served. Minimum filtration acceptable to most equipment manufacturers can be achieved using inexpensive disposable fiberglass panels with cardboard frames. These are readily available in a multitude of size choices and are in stock at hardware stores and home improvement stores. They have a MERV scale filtration rating usually lower than MERV-2 ( least filtration ). Professionally installed polyester filter media is custom cut and fit to any size desired. Retaining hardware has to be custom fit to the rack, slot or grill where it is used. It comes in rolls and is custom cut as needed. It has an excellent MERV-7 rating ; in many cases systems cannot sufficiently circulate air with more resistive filtration. Filter media provides excellent filtration and can be perfectly fit ( without a cardboard frame ) into virtually any dimensional requirement. Pleated Filters are the premium disposable product that does not have to be professionally installed. They are available at hardware stores and home improvement warehouses but often size availability is more limited. Pleated Filters can have very high MERV ratings. Caution must be used in selecting a filter too restrictive for the indoor fan capability. Johnson’s can test your supply and return airflow with the filter you have now and access how much additional restriction could be tolerated by used more restrictive high filtration filters. Equipment and component manufacturers provide the benchmarks used to evaluate performance. Readings taken on system components are compared with the rated values for each component. Maintenance includes testing, evaluation and record keeping of key performance indicators. Regular maintenance generates records of system performance that can be used to spot trends or changes over years of operation. Accurate measurement and documentation provide the basis for performance evaluation. Electrical systems are inspected and tested. Rated values for each system component are compared with actual measurements, both are documented and scrutinized. Each motor and control are tested and documented. Safety or performance issues are identified..
Refrigerant temperature and pressure measurements are collected and compared with the manufacturers performance data. The actual performance is scrutinized and any deficiencies are identified. Evaluating individual system components helps to avoid larger system failures. mechanical, electrical and thermal values as each relates to system performance. Indoor air conditioning components are evaluated by comparing indoor air temperature and relative humidity readings for air entering and leaving the equipment and duct system. Air pressure readings determine air circulation performance ; supply and return air duct systems can be evaluated. Fan performance and resistance of coils and filters is confirmed. Heating mode operation is tested and documented. All key benchmarks are scrutinized. OUTDOOR COMPONENTS are inspected, tested and evaluated. The current outdoor conditions during testing are documented and used to compare manufacturers performance data with actual results. Compressor performance, outdoor fan airflow and heat transfer efficiency are tested and scrutinized. Components are also inspected visually to identify any abnormalities that need attention. Testing thermostat and control systems confirms normal operation in each mode of operation available for the system. The majority of residential and commercial central air conditioning systems operate in heating and cooling modes. Others may additionally operate separate control zones or special functions. All are tested to confirm normal operation. Technicians explain system and controls capabilities and limitations to users and demonstrate operation.